Motivation, influence and persuasion are more important than you might think. We are all at least part time influencers, motivators and persuaders in some aspect of life whether it’s convincing a toddler to eat her vegetables or closing a six-figure deal, motivation, influence and persuasion skills are something we can all stand to upgrade. 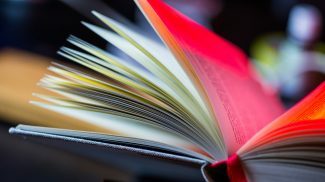 Here’s a list of 10 books to help you become a more effective motivator, influencer and persuader. 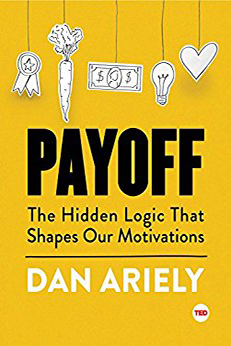 If you walk into your office to employees who seem less than enthusiastic to be there, then pick up a copy of Dan Ariely’s Payoff: The Hidden Logic That Shapes Our Motivations. This is the perfect book to read on a plane or on a Sunday afternoon. It’s full of interesting stories, scientific studies that will keep you riveted. 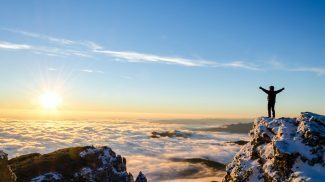 Discover what motivation is and why it’s so complex. Find out exactly why it’s so easy to demotivate someone and why money matters less than you’d think. Reflect on why we have such a strong attachment to our own ideas and why we’re willing to do ridiculous things to achieve immortality. You’ll get inspiration and ideas for how to not only motivate your team, but yourself as well. Think of the last decision that you made; whether it was what to eat or what movie to see. You might think that you’re an independent thinker, but you’d be wrong. 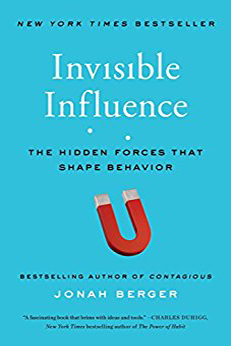 Invisible Influence: The Hidden Forces that Shape Behavior shows you exactly how prone you are to invisible influence. Author Jonah Berger has conducted hundreds of experiments, analyzed thousands of purchases and found that whether we realize it or not, we are subtly influenced by the people around us. In this book you’ll see what motivates us at home and at work, why new products should be different — but not that different, how to make better decisions and how to transform ;strangers into allies by simply doing what monkeys do. 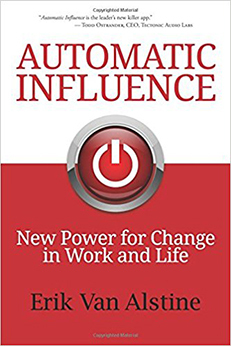 While most books about influence are about how to influence others, Automatic Influence: New Power for Change in Work and Life is more about deconstructing influence as a simple process that involves seeing, feeling and acting. Author Erik Van Alstine shows how your brain processes information and drives the next action. The book is written in five parts; each part exploring what the author calls “The water in which we live” which is the power of automatic influence. Each section takes you one step closer to understanding this power, how it works and how to direct it to get the most out of life. Once you understand the power of automatic influence, you’ll understand happiness and why we pursue it, you’ll find ways to fight depression and get along with even the most difficult people. 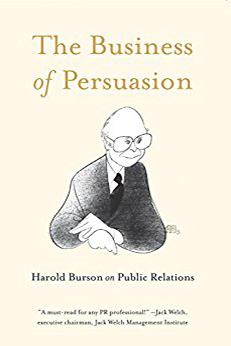 Attention business history buffs: The Business of Persuasion: Harold Burson on Public Relations is a book you will have to add to your reading list. Imagine getting the inside story behind iconic PR campaigns as Union Carbide’s Bhopal disaster, Coca-Cola’s famed “new Coke” fiasco where Burson urgen the company to plead humility, or how he helped the postal service regain our trust after the anthrax scares following 9/11. At a time where PR has been relegated to social media pitches, this book will regain your admiration for a critical business function. The book includes five tenets of PR that will serve any business person well; tell the truth, don’t just inform, convince, always define the right problem and solve it, be discrete and communicate with a single voice. 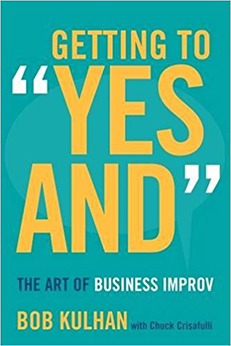 Whether you are part of an in-house work team or a virtual team, Getting to “Yes And”: The Art of Business Improv is a book that will give you a whole new perspective on how to be part of a highly productive work team. Author and veteran improv performer, Bob Kulhan will show you how to improve your odds of success by using some basic comedy improv principles that will train your mind to reacts, adapt and communicate effectively before a crisis happens. After reading this book, you’ll be able to focus on possibility and potential without fear of failure, You’ll be able to create teams that know how to achieve goals and you’ll actually be able to reduce turnover by creating a workplace that gets and keeps top talent. Did you know that 63% of the behaviors that sales people practice actually don’t work? Not only that but more than half of all sales people don’t meet their quotas. 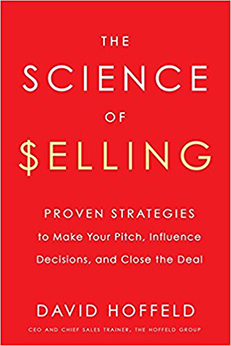 If that sounds like something you’re dealing with then read The Science of Selling: Proven Strategies to Make Your Pitch, Influence Decisions, and Close the Deal. This isn’t just a book about how to sell for salespeople, it’s really a book about influence and how to use the power of influence in the many conversations where you need to influence or persuade people to your way of thinking. For example, you can use these techniques to win over negative co-workers or improve relationships with difficult customers or use some of the techniques to motivate employees or communicate your ideas. Of course, if you’re in sales, this will help you close more deals faster. 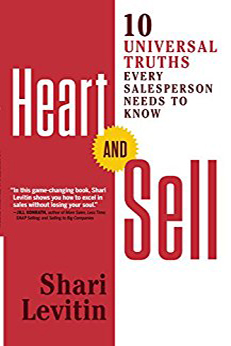 Heart and Sell takes a fresh new look at how to sell. It’s not just about following a process, it’s about understanding how human beings work. Author, professor, trainer and global sales guru Shari Levitin shares her process for effective selling in the digital age. In today’s selling climate, if you’re not matching your clients’ emotional needs to their buying intentions, you will lose. 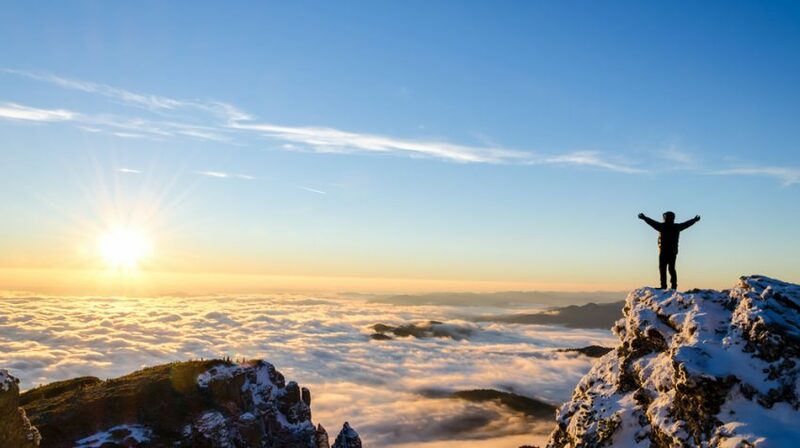 You’d discover the 7 motivation factors that influence every decision, align your sales process with how people buy, learn and understand the ten universal truths that will help you beat your sales quota without stressing you out or losing your soul. As your business grows, you’ll put in more and more policies and procedures. 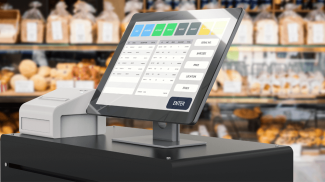 But before you get too many processes between you and your customer, read Would You Do That to Your Mother? : The “Make Mom Proud” Standard for How to Treat Your Customers. 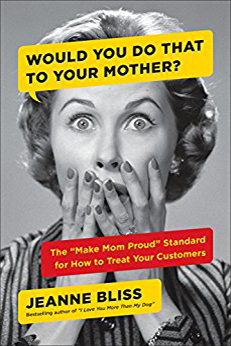 Author Jeanne Bliss saves companies from their worst behaviors by reminding them of the simple values they started their businesses with and helping them incorporate those values into their larger businesses. She’s gathered examples and stories from both large and small companies. For example, did you know that PepsiCo’s CEO writes an annual letter to parents of their top 400 executives thanking them for the values they instilled in the company’s leaders. See how your business can benefit from the “Make Mom Proud” standard. 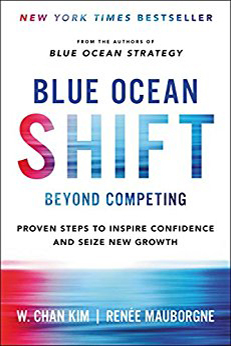 If you’re a fan of Blue Ocean Strategy, then you will love Blue Ocean Shift: Beyond Competing – Proven Steps to Inspire Confidence and Seize New Growth, the much awaited follow up to the book that changed how we looked at competition. In Blue Ocean Shift, the authors analyzed and compared the successes and failures of blue ocean projects from around the world that were inspired by their book. They came away with a five-step approach to help companies succeed today. 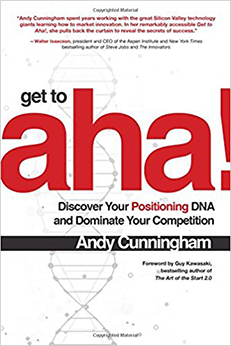 In addition to this, the authors also discuss a few lessons learned since publishing the original Blue Ocean Strategy such as, market disruption is not the only way to succeed, a focus on competing is a losing strategy, value innovation is better than tech innovation and finally, humanness is better than carrots and sticks. It is all about manifesting your desires. You start with a wish and you follow that with work. Persuasion will always be the main element in marketing. Lest you learn it, you cannot really sell. Great list of books to inspire people. These types of motivational books always help people in every step of life. Looking to purchase one of the books featured in this list. You have well reviewed about these books. Thanks for sharing. Will share this informative post. Hi Praveen – I’m glad you enjoyed the list. If you have books that have inspired YOU – please let me know. I will check out the book on the shift of the blue ocean. Have you heard about the term, Ikigai? Hi Martin — I have 🙂 . The way I understand it, it has to do with way of being – who you are. As you know, that’s something I’m very passionate about.